It all seems People's Democratic Party, PDP's candidate in Osun guber election, Mr. Adeleke is haing upper hand against APC's candidate who was declared the winner after supplementary elections in the state. The Election Tribunal set up on Osun 2018 governorship poll is currently delivering its judgement. Delivering one of its earlier reserved rulings, the #OsunTribunal struck out the separate objections filed by APC's Oyetola and INEC against the petition by Adeleke and PDP #AdelekePDPvsOyetolaAPC. The Peoples Democratic Party (PDP) and its candidate, Sen. Ademola Adeleke, had challenged the victory of the All Progressives Congress (APC) and its candidate, Gov. Gboyega Oyetola, at the Osun 2018 Governorship Election at the election tribunal. 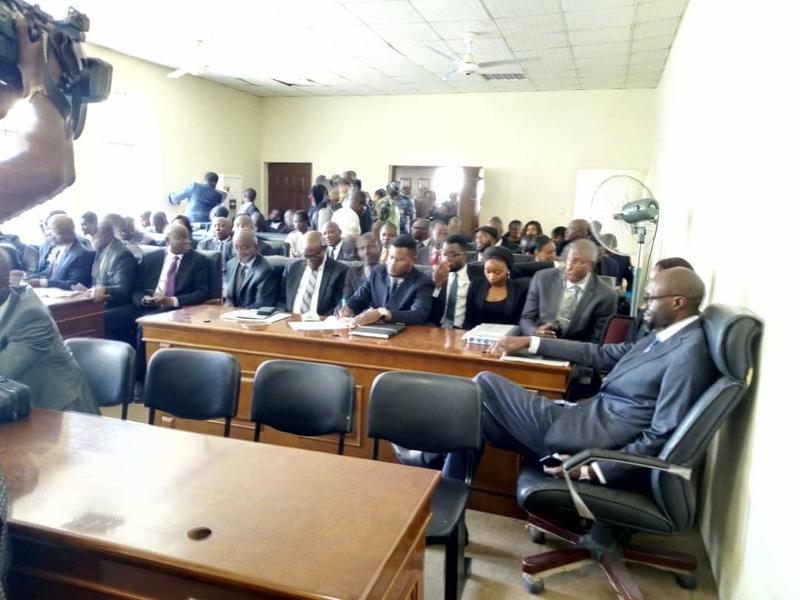 The Osun Election Tribunal, which was moved to Abuja in November 2018, after it was initially inaugurated in Osogbo, fixed Friday, March 22, for its judgment on the suit filed by the PDP and its candidate.